So, a compromise must be reached. A healthy alternative to the Cherubs of the potato family needs be found. Perhaps something green? And vegetable-y? Yes, I think that will do quite nicely. 1. Preheat oven to 400F. Spray a mini-cupcake pan with non-stick spray. 2. Grate the zucchini and roll it up in a dish towel. Wring out the excess water. Don’t be surprised when a lot comes out. It will. 3. 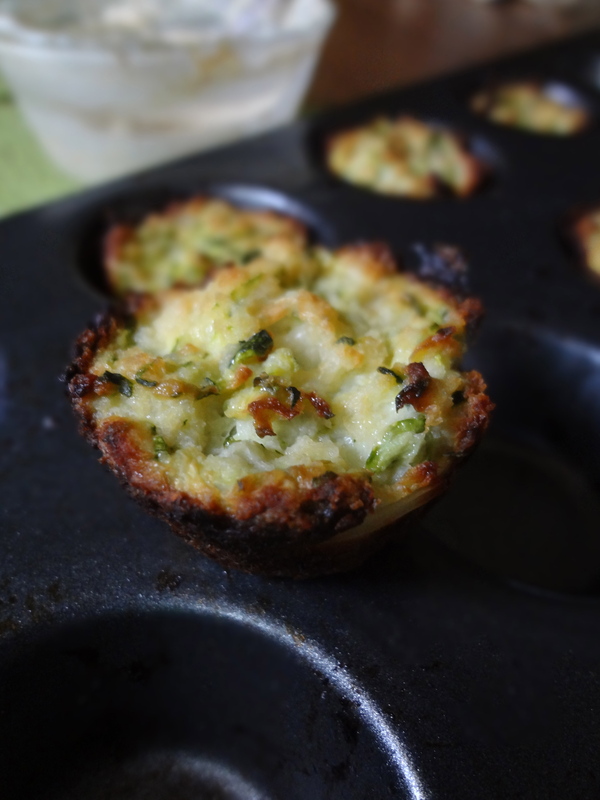 Grate the onion, and combine it in a bowl with the zucchini, egg, cheese, and bread crumbs. 4. While the tots are baking, combine the Greek yogurt, garlic, mayo, cumin, and chili powder in a small bowl and mix well. Let it sit for about 10 minutes, or while the tots finish cooking. 5. 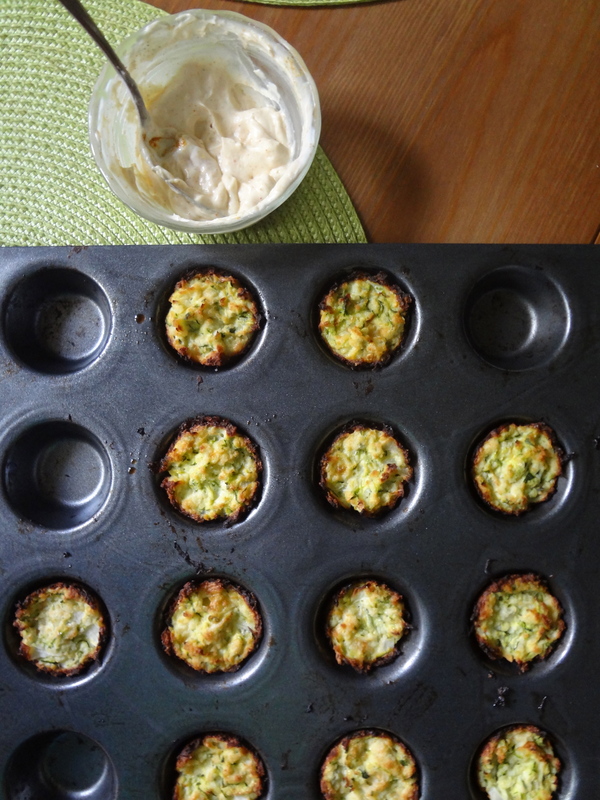 Using a small spoon, fill each space in the mini-cupcake pan with the tot mixture. Bake for 15-18 minutes, or until the top is golden brown and edges are crispy. Serve with spiced mayo. This entry was posted in Uncategorized and tagged Appetizer, cheese, Crispy, Onion, Side dish, Summer, Tater Tots, Vegetarian, Zucchini by theculinarycapers. Bookmark the permalink.